Germany coach Joachim Löw expects to have first-choice goalkeeper Manuel Neuer available for selection by the time he names his provisional squad for the FIFA 2018 World Cup on 15 May. Neuer has played only four times in all competitions so far this season after suffering a second metatarsal break in six months in September, but is running at full tilt on the treadmill again ahead of his projected return to team training with Bayern Munich next month. 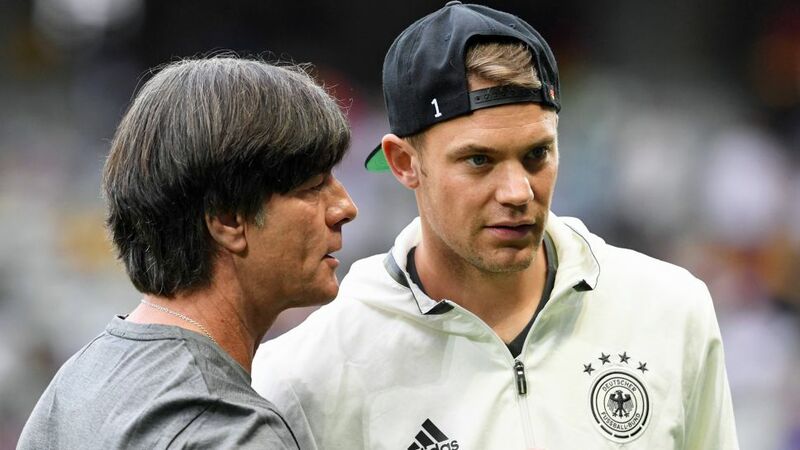 "Manuel is absolutely on schedule, and will be upping his workload soon," Löw told media ahead of international friendlies against Spain and Brazil. "I'm confident he'll play for Bayern again this season - and that he'll be travelling with us to the World Cup." Bayern and Germany forward Thomas Müller shares Löw's optimism. "I see Manu a bit more than most and he always gives the impression that everything is okay," said Müller, who has been minding the captain's armband for club and country in Neuer's absence.